In the past, Jeju as a colony of Japan was forced to be militarized by Japanese Imperial military. 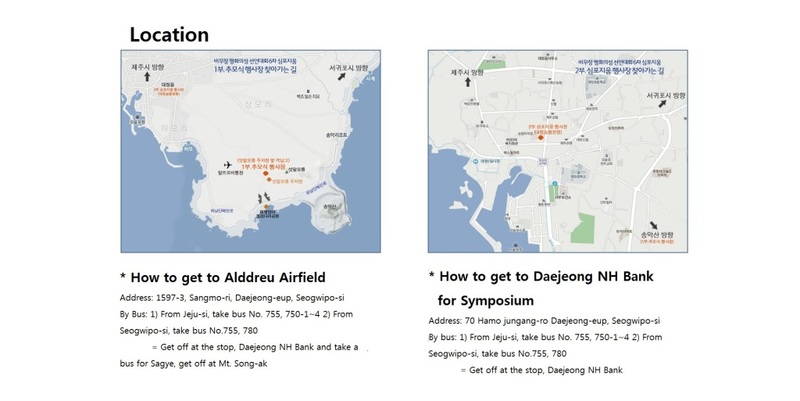 Alddreu Airfield in Jeju was originally developed in 1926-30 during the Japanese Imperial period. The base was used to support the Japanese forces’ invasion into China. During World War II, the base was used for training of Kamikaze pilots and by the end of the war it housed 2500 naval aviation troops and 25 aircraft in hardened aircraft shelters (Wikipidia). To begin the historical dialogue between Nanjing and Jeju, we can at least trace back to the year of 1937 when Nanjing Massacre took place. In 1937 before Japanese Imperial military occupied Nanjing City and conducted massacre on December 13th, the Nanjing people’s suffering of war had already begun since the air-attack by Japanese fighter jets began in August until December 1937. Many of those fighter jets took off from Jeju’s Alddreu Airfield. More killing was committed due to the function of Alddreu. A new base is being constructed in Jeju again, and this time it was somehow forced by both Korea and US government, and then somehow passively accepted by Jeju people themselves due to the issue of national security and economic growth, a sad path in which the people of Okinawa have also gone down. 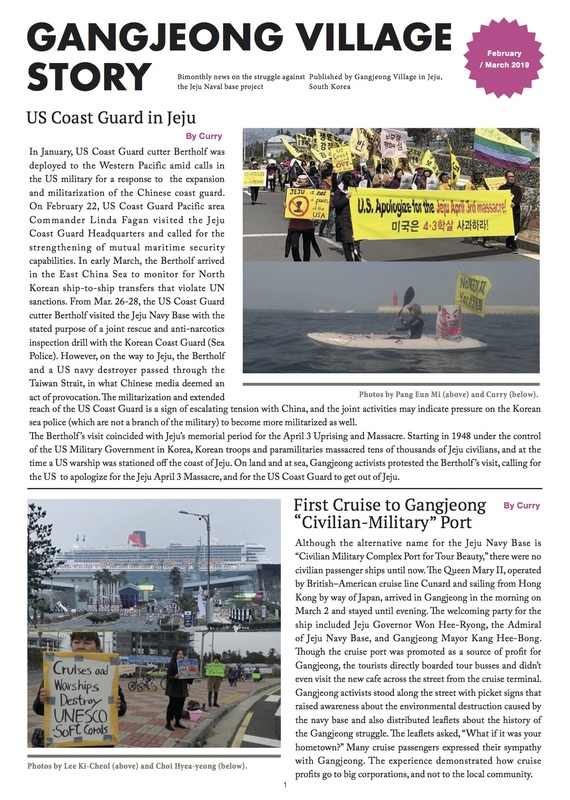 Jeju has been the historical base provider, but we could hardly find any information that has been carried out to reflect on the militarization history of Jeju and the impact it had on its people. Not surprisingly, the suffering and the post-trauma of Nanjing, China, or in a bigger picture, North East Asia has not been seriously considered as a related issue to Jeju. In Nanjing, it is clear to see this year that the history and territory dispute between China and Japan becomes sharper and more emotional (China-Japan’s relation has become worse especially since the “purchasing Senkaku/Diaoyu Island” policy was launched in 2012). The China’s legislative body set December 13th as a national memorial day to commemorate the victims of Nanjing Massacre as a response to the Japanese government’s denial on this historical event. It was said that designating a national Memorial Day is a peaceful and wise action rather than conflicting militarily. However, through all these incidents, we can sense the created atmosphere has led both sides to be stricter to their way of nationalism and militarism. As a result the new Jeju Naval Base among many other new base projects in our region. We invite you to commemorate the 77th year of the Nanjing Massacre, not in Nanjing but in Jeju, with a different lenses to reflect the history, present time, and our future. We invite you to feel the pain of Nanjing and Jeju, and to witness the encountering of two kinds of suffering. We invite you to draw a more peaceful future of Jeju, North East Asia, and the world together.